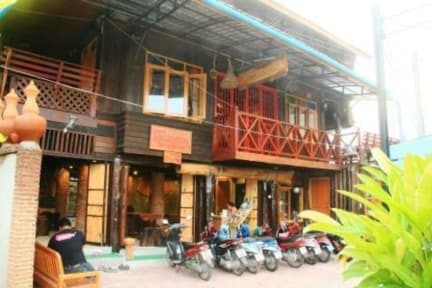 Baan Elephant Home is a friendly family run hostel dedicated to making your stay in Northern Thailand awesome! to allow you to relax and get properly rested for your adventures the following day. We offer a range of breakfast options in our comfortable common room for just 80 BAHT per person and free tea and coffee until 11am each morning to kick start your day! We can also arrange traditional Thai cooking classes to give you the skills to show your friends and family the awesome cuisine you’ve sampled in Thailand! We are just ten minutes Taxi or Tuk Tuk ride from Chaing Mai International Airport and a ten minute walk from Ta pae Gate, home to Chiang Mai’s famous Sunday Night Market, the bustling nightlife of Walking Street, and the City’s many other attractions. Chiang Mai has a huge range of activities, from its nighttime party atmosphere to relaxing Yoga studios. Whether you want to party, explore the city’s temples and night markets, indulge in a traditional Thai massage or a natural Spa, or get close to nature, our English speaking local staff are happy to advise you. As our name suggests, as a family we have a love of nature. If you share this we can help you to arrange once in a lifetime experiences, such as interacting with Elephants in a way that allows you to get up close and personal whilst respecting the dignity, health and wellbeing of this incredible animal. We work with rescued elephants and will never allow our animals to be basket ridden or chained up. Whilst out and about, if you don’t fancy walking, you can hire a ped or bicycle stress free direct from us. We can also call you a Taxi or Tuk Tuk free of charge to make sure you are offered safe and fairly priced travel options. Having lived all our lives in Chiang Mai we have all the local knowledge to make your stay authentic and extra special. For example we can advise whether a particular activity will be good at the time of year you’re visiting to avoid disappointing experiences. We want you to have a great time, so will not sell you activities that are out of season. We want you to have the best time possible for the money you spend. We had a wonderful experience at the hostel. The staff was helpful, always happy to answer questions and give advice. Definitely recommend to anyone who is looking for good value for money and great company. Thank you!! Nice room with an AC, a fan and a small security locker. The building itself is very nicely done and cozy. Showers were pretty poor, but clean. Good wifi. 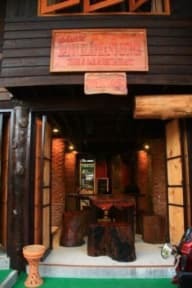 One of the best accommodations in Chiang Mai! Bann Elephant is a great hostel! The private room was nice, most comfortable bed I’ve had in Thailand. Free coffee and cheap breakfast, clean bathrooms, and lots of nice places to sit and hang out. More of a quiet, chill hostel from what I could tell. Aoi at the front desk was extremely nice and helpful! We have already booked to stay here again when we return to Chiang Mai! Loved it! Loved it so much that I extended my stay + I'm coming back in a few days. Staff is extremely helpful. They know the right people that can help with your needs. Good atmosphere, plenty of nice guest to meet. About the dorm room: there is no AC but don't be scared, there's no need for AC. Plenty of fans and everyone ends up sleeping under their blanket. Most staff are very friendly. We had a nice quaint private room that we extended multiple days. I don’t think you could have better positioning in the Old Town. Tours and such offered at decent prices. Facilities were alright, a little hot in the bathroom but that’s just because of the aircon. Only problem we had were really hard pillows!! Hostel was very clean and a traditional Thai building which was awesome. There was only one dorm in the place and the building had a very couple vibe so you could only meet people in the dorm. The atmosphere was very quiet. Staff were helpful. Located right in the middle of old town which was awesome. Lockers available for valuables but no lock on the door or security to enter the building. So having booked through Hostel World 3 days in advance you can imagine my frustration when I turn up, to be told I had to wait 30 minutes to be checked in (it was 7pm). So I sat around for half an hour, only to then be told they were actually fully booked and had no room for me. The building looked very nice. But I was then taken to their sister hostel just down the road, which was most definitely not as well furnished. Can’t say I was too impressed. Room was clean and the staff was great. We stayed in a private room and were not actually in the hostel. It was a house across the street, our bathroom was not very nice and when we peaked at the ones in the hostel they were much nicer. Just be aware if you book a private then you won’t be in the main hostel. Our door also only locked with a padlock so we couldn’t lock the door when we were inside. There are two doors that lock to the outside in the house but it didn’t make us feel comfortable.